Hair transplant surgery is designed to restore hair in men and women depending on the condition. 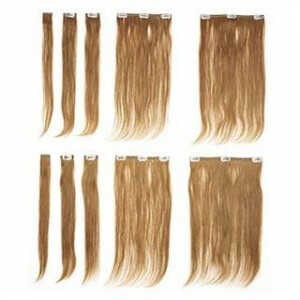 For most, this is done in the event of male or female patterned hair loss. Others may use this procedure for other areas of the body that may have once had hair like the eyebrows and others to place hair like facial hair or where they may see fit. 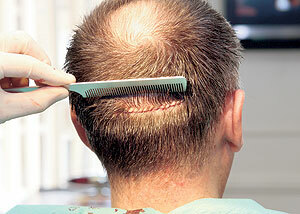 The only remaining issue is the scar that remains in the donor area after a hair transplant procedure. Can this be avoided? Is there any way to remove or conceal an existing scar? Depending on the procedure, the scar can either be avoided or minimized. Follicular unit extraction (FUE) is an advanced hair transplant procedure where hair graft units are selectively extracted and refined without leaving a linear scar in the donor area. This technique has also been used to transplant hair into an existing hair transplant scar. This is one technique used to conceal a donor area scar but it does not remove it. The objective is to conceal the scar as much as possible. For those patients looking into hair transplant surgery, follicular unit transplantation (FUT) is the golden standard in hair restoration. There are ways to minimize the scar’s appearance. In most cases, a hair transplant surgeon can use single or dual trichophytic closure to minimize the visibility of the scar in the donor area. This technique allows hair to grow in through the scar creating an illusion and concealing the scar. Patients whom have had a hair transplant procedure can undergo scar revision and have the existing scar excised and reclosed using this technique if it has not already been done. 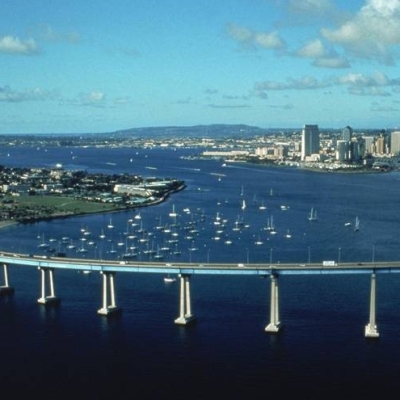 As stated, the objective is to minimize the visibility of the donor scar. If the patient is undergoing hair transplant surgery through FUT, you must bear in mind that a scar will still be present. It has been noted that Botox can also be used to avoid additional stretching of the scar further preventing visibility. This should be taken care of right after a hair transplant procedure. These options should be discussed with your hair transplant surgeon to assure that you are getting exactly what you want out of your hair transplant procedure. It’s my sixth day after I got my hair transplant in Los Angeles and all seems to be healing and on track. The other day, when I was shampooing, I noticed some follicles. Maybe about six of them. Is this something to be concerned about? What I’m pressing about is the staples area of my head. It doesn’t look infected or have a lot of inflammation, but it is really sensitive, meaning that I feel pain each time I hit that area of my head on something or just swipe my head past a car head cushion. Also, with not much shock, the pain level has increased as I’ve taken less anti-inflammatory drugs. Are there any over the counter pills you’d recommend. Whether topical or oral drugs, it doesn’t matter to me. All I know is, I’m really stoked about getting these staples removed in a few months! Can’t wait until they’re off. After a period of time, the closed donor wound sensitivity to pain and its tenderness will decrease. But after a few days, the patient might feel some pain in the donor area while on medication. If the case happens to be that the transplant donor area is becoming more sensitive, pay me a visit and I’ll take a look at your donor area to make sure its healing properly. My hair is as thin as the state of economy; I’m trying to figure out how to make it stronger. Two products I tried are, Chronostin, suggested by my barber; the other one was recommended to me by my psychiatrist: it’s called Minoxidil, Estradiol Vateral, Esopropyl Acohol. I’d like to hear your expert advice on these products, doc? I commend you for seeing a skin doctor. As part of your dermatologist’s diagnosis, I’m quite certain he took a look at you to see if there was miniaturization of hair leading to hair loss in men. Let me add that combining minoxidil with other hormonal medications hasn’t been proven to be a solution to hair loss. You were probably diagnosed with male pattern baldness and then the doctor decided to recommend it. Since that’s what happened, you might also want to try finasteride, a medication much more powerful compared to Minoxidil, based on a few research publications. The other product, Chronostim, I don’t know what that is. But, being the dedicated doctor I am, I did some of my own research on it. 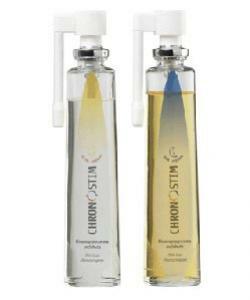 Chronostim is a product that says it is able to act on a group of factors playing a part in hair loss. It has both morning and nighttime treatments. It contains sabal enriched lauric acid (seborrhea regulating ), tocopherol Nicotinate (microcirculation stimulating, oxygenating bulbar), glycyrrhetinic Acide bta (reinforces the activity of 5-alpha ductase), excipient alcohol-silicone, perfumed- hypoallergenic. Chronostim, called NIGHT, contains a semblance of Ruscus, enriched in Neoruscine (stimulating of the VEGF), Diguanosine traphosphate (GP4G – cellular stimulant), Piroctonolamine (cleansing, anti-irritant), excipient hydro-alcoholic, perfumed-hypoallergenic. Clear as the Los Angeles smog, right? To give it to you straight, these products haven’t been proven in any way whatsoever to aid in the treatment of men’s hair loss. May I be so bold to say, if I were in your shoes, I’d continue taking finasteride (Propecia), if your dermatologist is okay with it. However, if you continue to experience hair loss, a hair transplant would be the best answer. Scalp Med – Hair Loss Treatment or Scam? I hope you’re doing great. I hope you also remember me – it’s —-. I visited your office in January in Mission Viejo, California. I am currently in Dubai! Thank you for the letter which you sent me regarding the tests I should take. I appreciate the time you took out for me. I have taken the tests and wait for the results. I wanted to ask you a question regarding the hair growth. Recently I was going through some websites and landed on a product called ScalpMed. I was quite alarmed at how this product worked (as it says it does). I am aware that there are numerous type of products available in the market but for some reason this really got me interested. Can you please have a look at it and advice me whether or not to take it seriously? I appreciate for your time. Looking forward to hear from you! The hair loss treatment industry is a multi-million dollar business. As such, there are usually companies offering much cheaper, short-cut type products which claim to have the same benefits as more mainstream hair restoration methods. Most likely, that’s not a line you’ll hear in a commercial for a hair loss product on late night television. But that’s what I think of most of these infomerical-type hair loss treatment goods. Given the high demand, hair loss products are numerous, but not always effective. If patients ask me about hair loss products, I like to post them on this blog, as I’m sure there are a lot of people interested in reading about it. 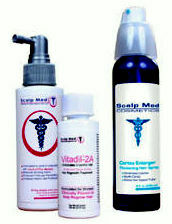 Scalp Med is a company which makes numerous products on hair thickening and hair loss treatment. Scalp Med likes to assemble different types of kits for their prospective customers, including a Detoxifying Cleanser Kit, Scalp Med for Women, and Mega-Multi Vitamins. Like other companies in the hair loss industry, Scalp Med’s advertisements go as far as to say that they are FDA-approved. 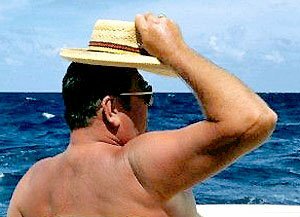 Any Joe Schmo can find photographs, legit testimonies, and other types of “proof”  from balding clients who try to promote Scalp Med’s product. There are various types of Scalp Med product, including topical Vitadil-5A for men, Vitadil-2A for women, topical NutriSol-RM, and Cortex Enlarger hair thickening spray. The first two Vitadils are topical solutions which contain minoxidil (also Rogaine’s key component). The claim Scalp Med makes is that they have formulated a unique delivery agent which is supposed to increase the absorption of minoxidil in women and men. For the Scalp Med products NutriSol-RM and Cortex Enlarger thickening spray, we are sort of left in the dark about what exactly is contained in them. Except for minoxidil, the other ingredients contained in these products haven’t been proven to aid in the growth of hair and the health of hair. It’s important to note, the cleansing agents contained in a lot of these types of products do nothing to help a person grow their hair. No matter how clean hair is, it doesn’t help it to grow. Don’t believe the advertising. I strongly urge you to find out whether your hair loss is treatable. It may stem from some other health condition instead of it being hereditary. If you’re a woman, and you know you have a typical type of female patterned hair baldness, then Rogaine may help.